See this picture. That’s as far as I got. It wasn’t the height. It wasn’t the swinging. I’ve gone cliff diving in Malta more times than I can count. I’ve done it my whole life. I wasn’t afraid of the drop. It was the lean out to get the bar. I COULD NOT FOR THE LIFE OF ME PUT TWO HANDS ON THAT BAR. The girl behind me was supposed to support my weight as I leaned out to reach for the bar and I couldn’t trust that she had me. At one point I had like 5 people up there helping me, and I still couldn’t do it. So, I climbed back down – the big chicken. I kept BEGGING them to just let me drop on the net, but they said it wasn’t allowed. Boo. 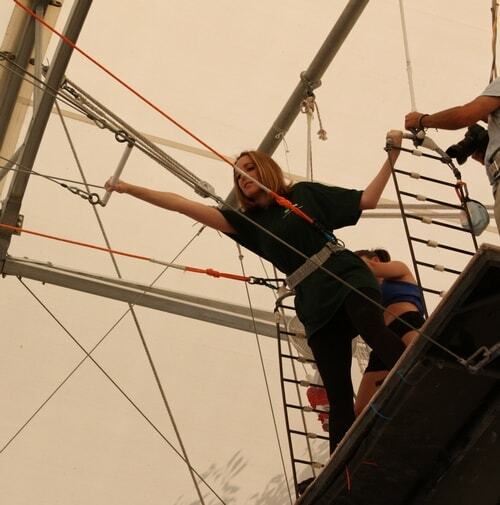 My cousin Dana from Fitceleb was actually super brave and made it off the platform! I was so proud of her!! A million pictures here showing Isabella, Victoria, Sean, Dana and me in action. 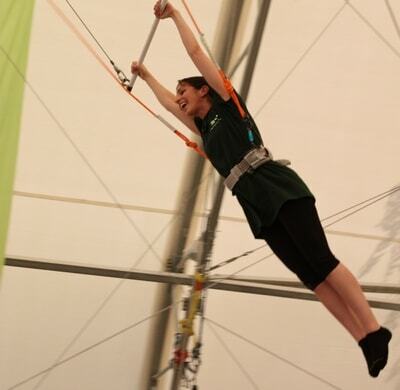 I did have a little fun on the trampoline though. And if I’m being honest… all the shirtless guys were like the cherry on top! LOL. 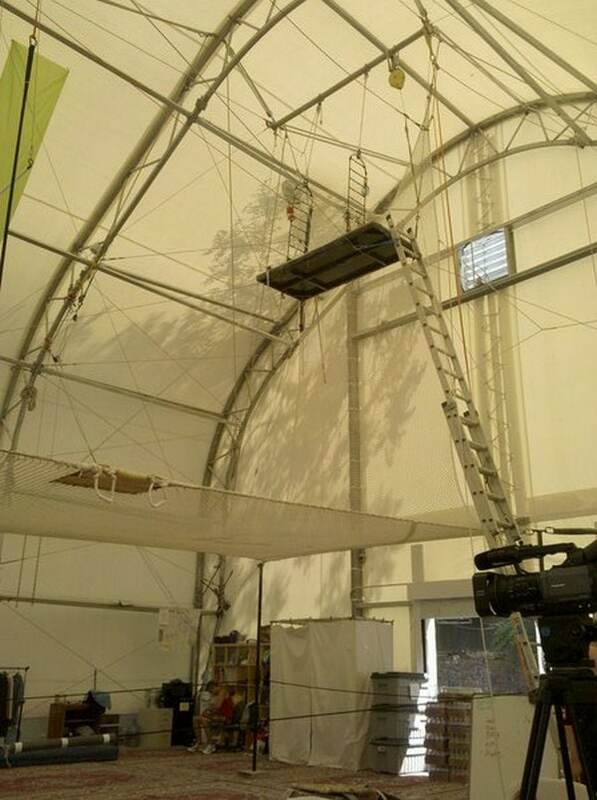 So, why were we all flipping out at the Trapeze school? How does this tie in with TD Bank? It was to promote their ‘Checking Worth Flipping For‘ campaign!! How can you get your Flip Ultra? I have a few more pictures from the event under the cut. Click on the continue reading link below to check it out. Hi Vera! I’m Maltese and its nice to know you visited our small island! Hope you have nice memories of Malta 🙂 Keep up the good work.. loveeee your blog! On my 1st wedding anniversary, Todd and I took a trip to Sedona, AZ. We were at their tiny airport looking around when Todd got REALLY excited about a biplane tour. We signed up, paid…and I FLIPPED OUT!! I couldn’t go. We canceled and then I started sobbing…I felt so stupid…I was thinking that I ruined our anniversary, blah blah blah. About an hr later, I don’t know what happened…but I decided to go. So we went on the trip; it scared the bejesus out of me…I think I broke Todd’s hand in a reaction to all the turbulence. You’ll try it again when you’re ready Vera.